The Poconos is made up of many different Communities. Most of these Communities have their own nitches that make them stand out from the rest. They are part of what makes the Poconos one of the most traveled to places in the Northeast. With Skiing, Fishing, Lakes, Casinos, this Mountain has everything you could want in family fun and night time adventures. Here is one of our Larger Communities. Located in Gouldsboro, it has 2 seperate entrances, and is surrounded by wildlife. Welcome to Big Bass Lake. Big Bass Lake is a gated 24/7 security patroled community. It is also great in location to interstate 380. Location is not the only thing great about Big Bass Lake. This community is loaded with a number of amenities and fun things to do. Big Bass Lake also holds its own community events and festivals depending on what time of year it is. Big Bass Lake is also full of Lakefront Homes. 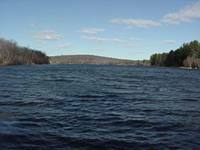 CLICK HERE to see which Lakefront Homes are on the market here in the Pocono Mountains!